You are notified when one of your packages has an issue! Thanks to Boxia, your delivery anomalies are automatically detected and you deal with them before they impact the shopping experience of your customers: you are proactive and your customers no longer contact you because of an incident! 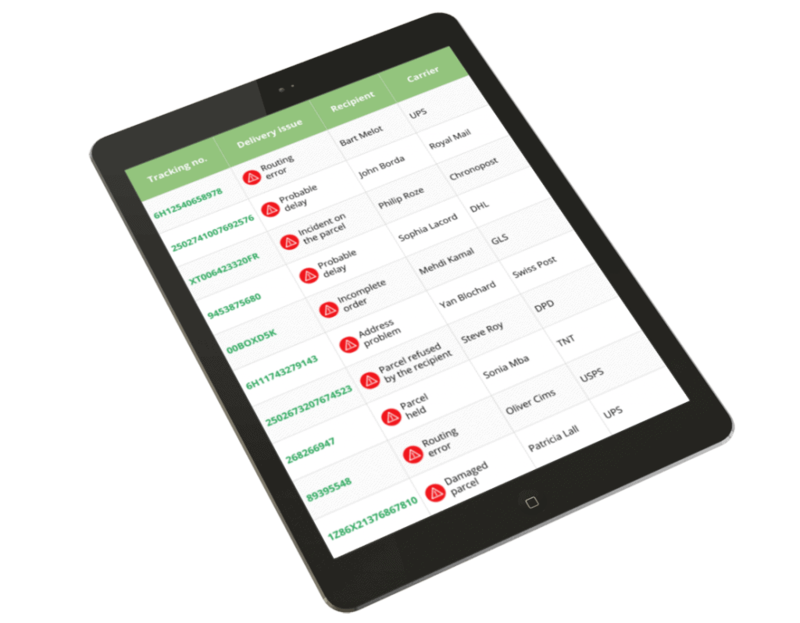 Your delivery anomalies are classified into several categories to help you identify the most important issues. You can easily identify the orders that are delivered late, by carrier and country of destination. By being automatically alerted, you proactively manage problems before your customers contact you!